Day 2 of the 2018 CrossFit Games is officially underway. Yesterday, they got a much-needed rest day after “the toughest opening day in CrossFit Games history”. After seeing the aftermath of the Marathon Row, that statement held true. Grueling as it might have been, the programming of Day 1 was beautiful. Dave Castro and company made their way through the 3 pillars of CrossFit early in this year’s competition. 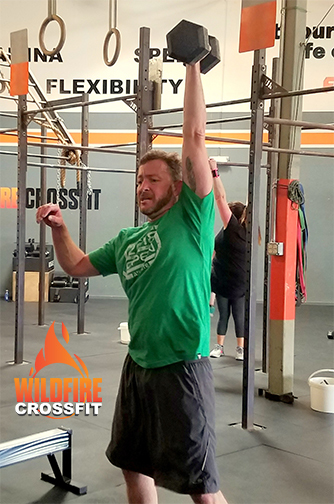 They began with a 1200 M Bike Race for Endurance, followed it up with 30 Muscle Ups for time for Gymnastics, and rounding it out with the CrossFit Total for Weightlifting was awesome. Then, to throw in an event like a Marathon Row…that’s right, over 3 hours on the rower, was nothing more than a test of these athlete’s will. That’s what it’s all about right there. Will, Grit, Mental Toughness. Whatever your choice of words, this is what separates the best of the best. You will hear the announcers talk about “The Mental Game” throughout the competition. Some athletes have been challenged more than others. During the first few laps of the very tight Bike Race called “Crit”, the chain came off Patrick Vellner’s Bicycle. He finished the event in 35th place out of 39 athletes. Now, he could have thrown a tantrum, blamed the bike, Castro, and CrossFit itself, and let it ruin the rest of his competition. Instead, he went to work, finished 9th in 30 Muscle Ups for time, was all smiles after a 2nd place finish in The CrossFit Total, and found himself sitting in 6th place overall after a 5th place finish in the Marathon Row. He knew the broken bicycle chain was nothing more than bad luck, and yet, whether it was a conscious decision or not, he made the choice to fight and to battle his way back up the leaderboard. His Mental Toughness is like a suit of armor giving him complete control of his destiny. After a 4th place finish in event 5, “Battleground”, he now finds himself in 4th place overall after his rocky start. Whether you have thought about it or not, you have that same mental toughness because you joined a CrossFit gym. Why is that different from the regular gym? Because you are putting yourself in a situation where there is a Coach and other athletes to challenge you to do more, go faster, and to get the best result possible each and every day. On some level, you joined a gym like WildFire because you wanted to be pushed. Just like training your body, when you put yourself in a position to be challenged daily, you are training your mental toughness. Just like building strength and endurance, facing the challenges we throw at you each day will build that Mental Toughness and help you be who you want to be. You are in control of everything, you just have to believe it. One of my favorite books of all time is “Think and Grow Rich” by Napoleon Hill and the first sentence is: “Thoughts are things, and they are powerful things at that, when they are mixed with definiteness of purpose, persistence, and a burning desire”. Another example, just in case you aren’t as much of a reader comes from George McFly in Back to the Future, “if you put your mind to it, you can accomplish anything”. The key is to have a clear vision of what you want and then, when you are faced with challenges, we like to call them, choices, you can make the decision to take the action that is going to get you closer to that vision. Just like finding your way into the gym, through your first use of the barbell, or your first time on the pull up bar, in life, sometimes you must make the uncomfortable choice to do what is going to get you closer to your goal. Just like David talked about in his blog the other day, if you value being patient, when faced with situations, be patient. If you value your family and friends, you have to make the time to spend with them. You get to choose the type of person you want to be. Desire alone just won’t cut it, the actions you take is what matters. Taking the action of joining a CrossFit gym like WildFire is a great first step towards living the life you want to live and being the person you want to be. When you start getting stronger physically, you build your confidence, and with confidence, a.k.a. grit, a.k.a. mental toughness, you can do anything!